At her Vegas show, the musician grew visibly angry and berated the Second Family for their affiliation to an anti-LGBTQ school. 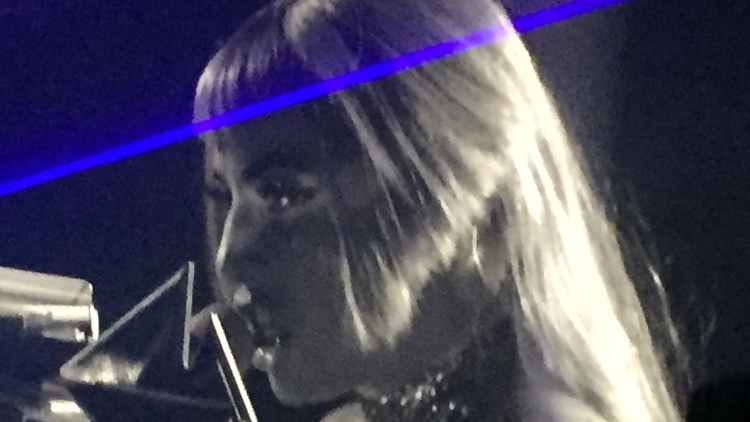 Lady Gaga's Saturday night show for her "Enigma" residency at Las Vegas's Park MGM resort was memorable for several reasons: the power blew out, the show ran exceptionally long, and Gaga spoke passionately to the crowd about issues important to her. Sitting at her piano near the close of the nearly 2.5 hour set, Gaga chastised Donald Trump for holding the government hostage for a racist border wall. "Some people are living paycheck to paycheck and need that money," she said angrily. Then Gaga turned her ire to Mike and Karen Pence, and the Second Lady's involvement with a school that bans LGBTQ youth and teachers. "And to Mike Pence who thinks its acceptable that his wife works at a school that bans LGBTQ (people), you are wrong," she said. "You say we should not discriminate against Christianity, you are the worst representation of what it means to be a Christian. I am a Christian woman and what I do know about Christianity is that we bear no prejudice and everybody is welcome. So you can take all that disgrace Mr. Pence and you can look yourself in the mirror and you'll find it right there."